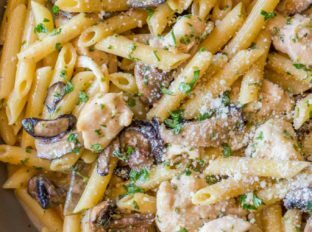 Chicken and Mushroom Cream Pasta with shallots and shiitake mushrooms in a creamy sauce topped with Parmesan cheese that’s guilt free! 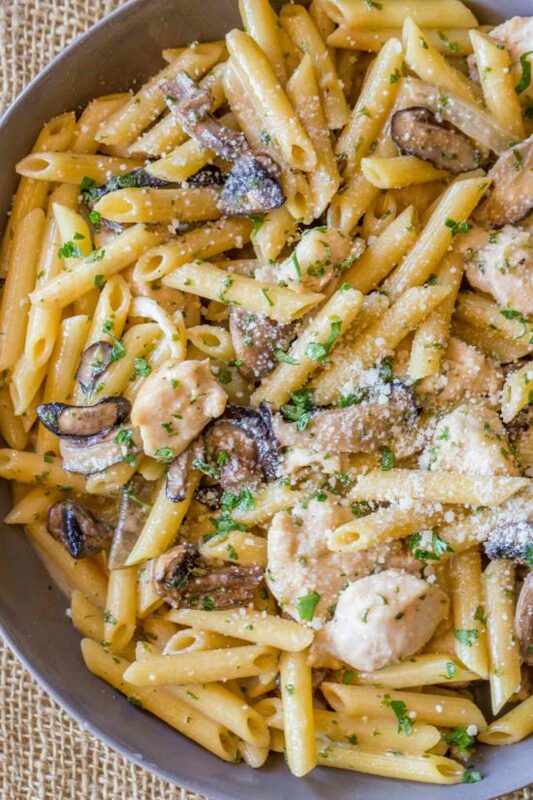 Chicken and Mushroom Cream Pasta doesn’t have to be full of fat and calories. With just a few ingredient swaps you can enjoy a plate of delicious creamy pasta and stay on points. This dish has isn’t the most diet-friendly, but you can bring the amount down if you change the serving size of your pasta. I allow for a full 2 ounces of uncooked pasta because this is a full plate meal, but I’ve made it before with half the amount of pasta and subbed in roasted zucchini I’ve sliced into half moons. A big part of being successful on my diet in the past was not limiting myself to all the super low point foods. As part of a plan for long term success its important to also enjoy higher point meals. 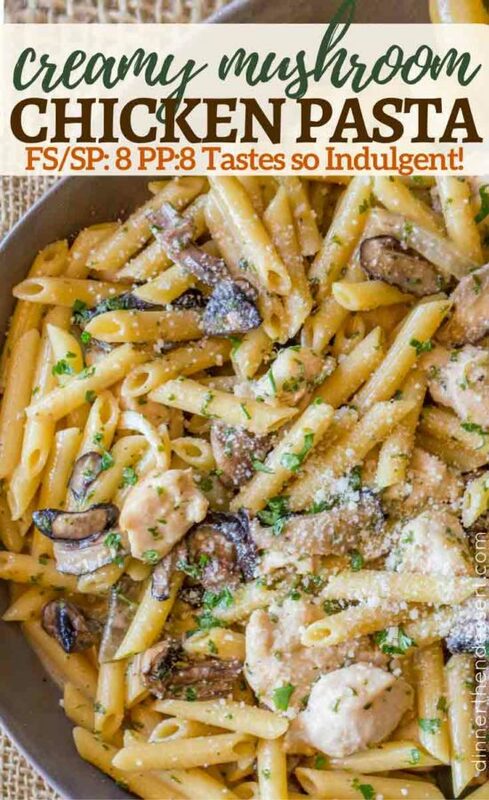 Thats why you need to enjoy this amazing creamy chicken and mushroom pasta! Cast Iron Skillet: I use this to cook in as cast iron is naturally non stick and you can cook over high heat without worrying about any non stick coatings releasing gases. Chicken and Mushroom Cream Pasta with shallots and shiitake mushrooms in a creamy sauce topped with Parmesan cheese that's guilt free! Cook the penne according to the directions on the box and drain. Cut the chicken breast into 1" chunks and season them with salt and pepper. To a large skillet add one teaspoon of canola oil on medium high heat. Add in the chicken and cook until just cooked through, no need to brown the pieces. Add in the shallots and mushrooms with the remaining half teaspoon of canola oil. Cook until the shallots are translucent and the mushrooms are still firm but softened a little. Add in the white wine, chicken broth and chicken base and cook for 2-3 minutes or until the liquid is bubbling. Add in the pasta, fat free half and half and cornstarch and stir together. Cook for a few minutes until the sauce thickens a little. 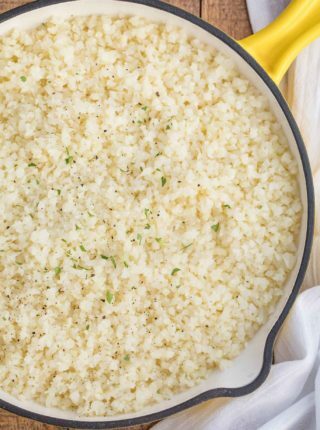 Toss with parsley and garnish with parmesan cheese. I’m so excited that I found your site! Welcome! 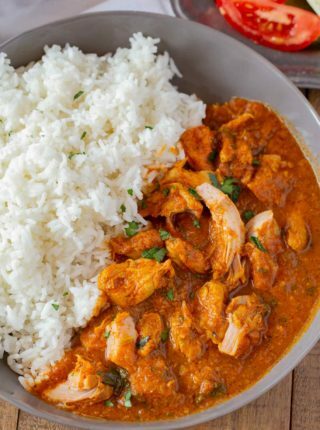 I’m excited to share my recipes with you! This pasta looks so amazing! 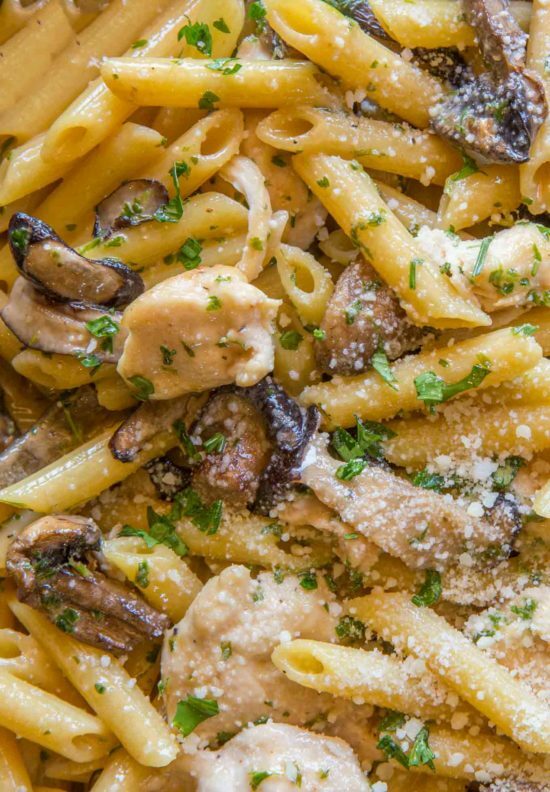 All these flavors in one pasta… AMAZING! 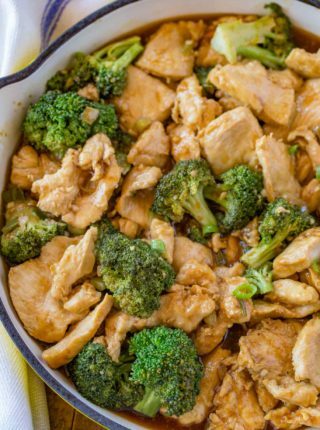 My family would absolutely love this for dinner! This pasta sounds and looks so tasty! What a delicious, hearty, and easy pasta dish. 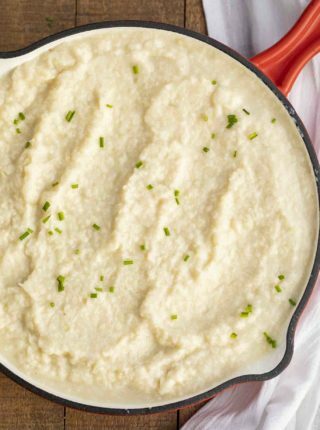 This recipe is a family favorite and part of our monthy rotation. Recently I discovered I am allergic to shiitake mushrooms and substitute creminis. They add a very nice flavor. So glad you enjoy it so much! Crimini mushrooms are definitely a good substitute!